This site is dedicated to the memory of David Sellinger, Kevin Winter and Yvonne Winter. David Selinger was crushed to death on January 15, 2001 when metal fence palings fell on him during a storm as he walked to the toilets. Despite an extensive search his body was not discovered until the next day. The senior deputy state coroner, Jacqueline Milledge, found [that] the failure of a site supervisor at Fox Studios to remove unsecured metal fencing, inadequate protocols for dealing with missing children, and poor lighting contributed to his death. While she said there was no criminal negligence, she made nine recommendations, directing Fox Studios to improve its public safety by revising its protocols for dealing with lost children, establishing a storage area for fence panels, and appointing a person to oversee safety issues. She said floodlighting should be available at the complex for use in emergencies, noting that inadequate lighting meant David's body lay under the fencing for 13 hours. Outside the court David's father, Jacob Selinger, said he was glad the coroner had insisted Fox Studios improve its public safety, as he did not want another family to endure such pain. This text has been excerpted from a letter written by Kevin Winter when lodging an objection to the Development Application (DA 40-3-2005) – Kevin documented that he had received no response. "In 1994 I suffered Ross River Virus and in 1995 my family moved to Centennial Park prior to Fox Studios being established, with the expectation the air was fresh and clean that surrounded Centennial Park. Centennial is the largest open space parkland areas in Australia, with Moore Park, Queens Park, open space grass land at Randwick race course, plus the long string of golf courses Moore Park GC, the Australian GC, the Lakes GC and surrounding area that contained NO Factories with emission polluting the expected fresh air, one would expect an ideal location for healthy living. Since the establishment of the Fox Studios Complex our family has suffered excessive noise from construction, barking dogs from Babe, trucks at all hours, dust from demolition work… the list goes on. Progressively my health has deteriorated, I began having headaches and the constant irritation caused nasal troubles that required two serious sinuses operations in 1999. I reported constantly to my doctor and complained of breathing difficulty; the complaint needed the attention of a lung specialist. I have never been a smoker. I found sleeping difficult and would wake up in the morning as if I had never been to sleep. These conditions are a constant worry and could not be explained by my doctor or specialists. Last April I was working in Perth Western Australia for 10 days. During that period of 10 days I was amazed that I slept well, I had no headache and did not need to blow my nose. But why, was the question. Upon returning home to Centennial Park the next day I suddenly found my health deteriorated to the unsatisfactory condition as before. The doctor was unable to explain, except that I may be susceptible to the exposure to certain environmental pollutions. There would be no doubt that there are several local residents who may also suffer the same effects and are not aware of the pollution recorded within the residential area 165. I began to search for the reasons for my decline in health, what was it that disturbed my expected normal healthy way of life? By chance I received a copy of the Environmental Review, Working Studio Precinct, Fox Studios Australia, February 2005 prepared by NECS. The one-day, only, inspection was on the 20th January 2005. The document provided evidence that there could be several factors that could be considered by experts to be detrimental to health, not only mine, the workers employed in the Fox precinct, the thousands of residents in the adjacent residential area plus the possibility to have effected the thousands of unsuspecting visitors to the Fox complex. It was noted in the report that several complaints had been received regarding ‘odours’ and noise. There were consistent complaints regarding the subject of Building 34/37 especially from Poate Road Area as well as complaints of work in other factory/workshop buildings in the precinct." KEVIN MAXWELL WINTER died at 4am on Friday 27th May 2007 from an auto-immune cancer. 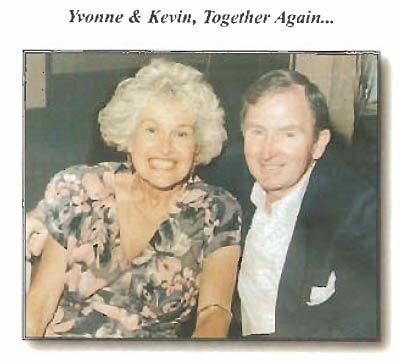 Kevin and Yvonne WINTER lived directly opposite the Post Production Buildings. After the death of Kevin, in 2007, both Yvonne was quite sure that the industrial operations on this site played a major part in his death – Yvonne was vocal and not afraid to tell people of our thoughts – when interviewed by the SMH in January of 2008, and again in Central News in May of that year she was comfortable in informing the journalists for both papers that she ‘blamed’ quite solidly Fox Studios Australia and its industrial operations for both her health problems and the death of her beloved Kevin WINTER. She was adamant that she would not stop until the whole community and general public were aware of all the details . Yvonne was fine except for not being able to rid herself of ‘lung oedema and a cough’. "Every time we went away on holidays we were better," said Yvonne Winter, who lived across the road from the studios until 2006. "That's when the penny started to drop." Ms Winter describes a "gassy type of smell" blowing from the site. Yvonne died on the 20th December 2008, of causes that were pronounced by the state coroner as being ‘undetermined’.